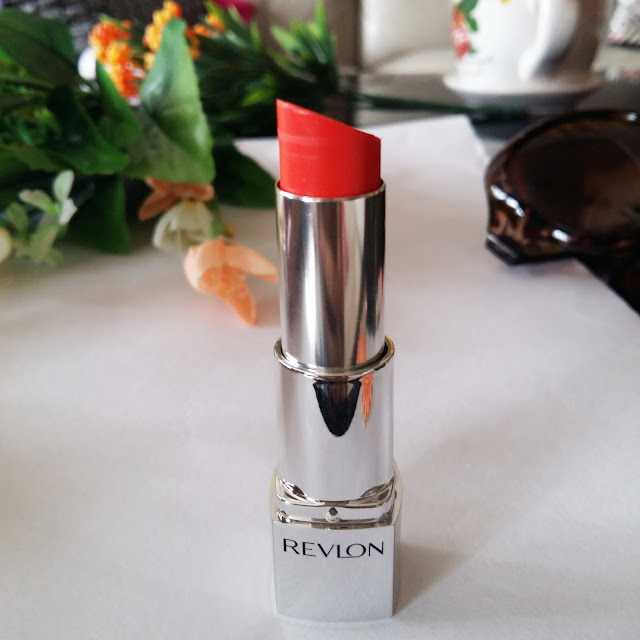 Waiting for weekend party you need New Revlon Ultra Hd lipsticks to glam up your look. 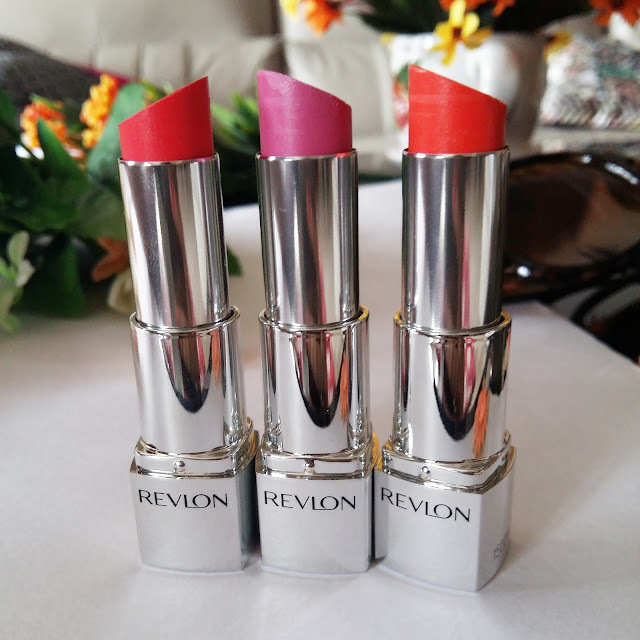 Revlon ultra Hd lipsticks are recently launched with Hd lip lacquer range. 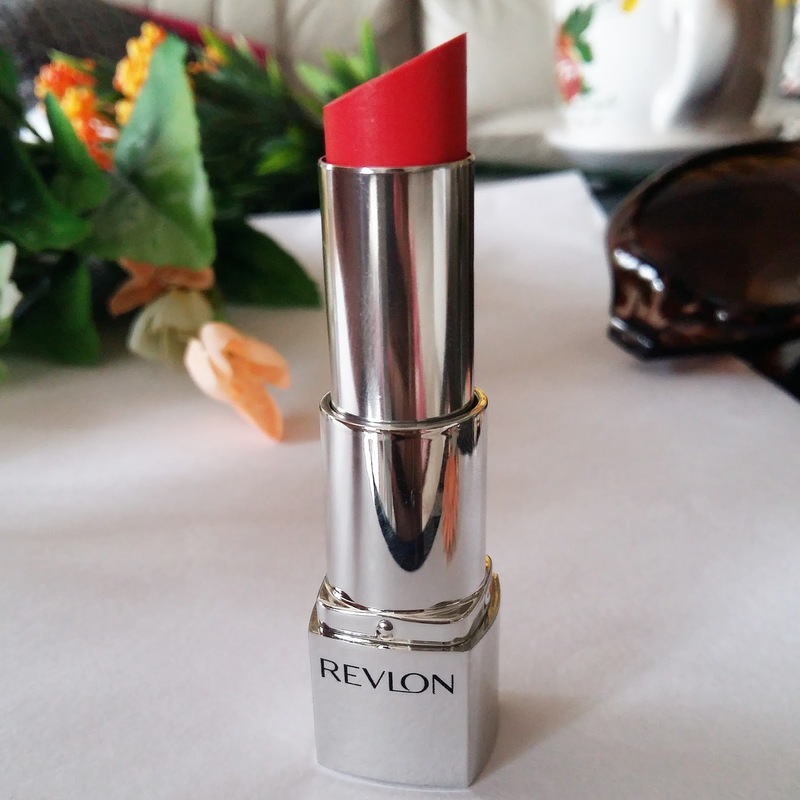 For today I will be reviewing this Revlon ultra Hd lipsticks for Revlon lip lacquer there will be a different post. 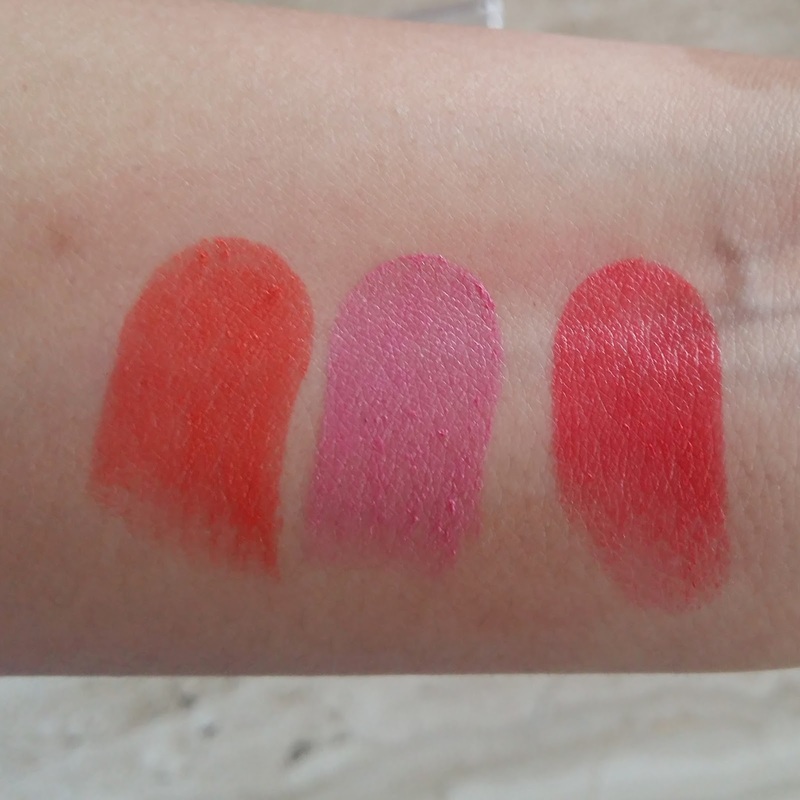 I so loved the entire range of lipsticks that I had to limit myself to pick 3 as they were little expensive. 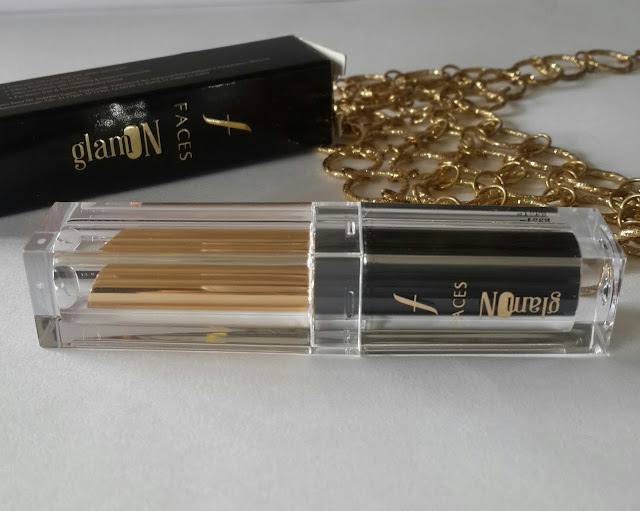 They come in simple silver tube with clear lid through which you can see the lip color. There is color coded sticker at the bottom of lipstick having shade name. I liked this simple silver packaging it doesn’t give a cheap look. 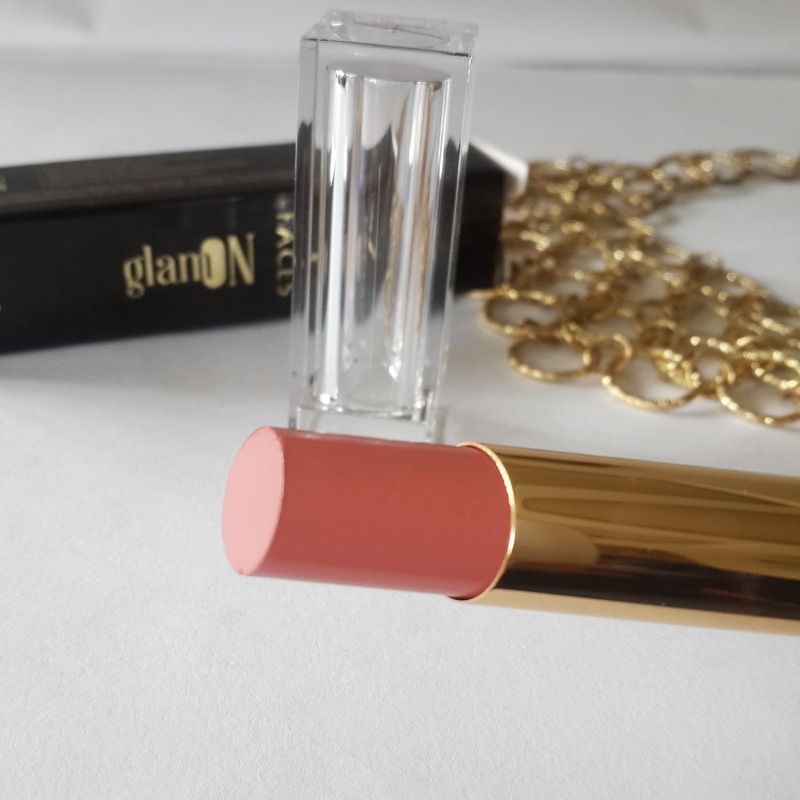 This lipsticks don’t go all the way down so be careful while putting the cap or you may chip of lipstick. What exactly HD lipsticks mean? For me it means a lipstick which makes your lip look flawless.. This lipsticks has unique gel technology formula which makes it feather light on lips. Application is even, glides on smoothly without tugging or pulling. Gives you a Satin finish with non drying formula. They also help in nourishing your lips by providing moisture. 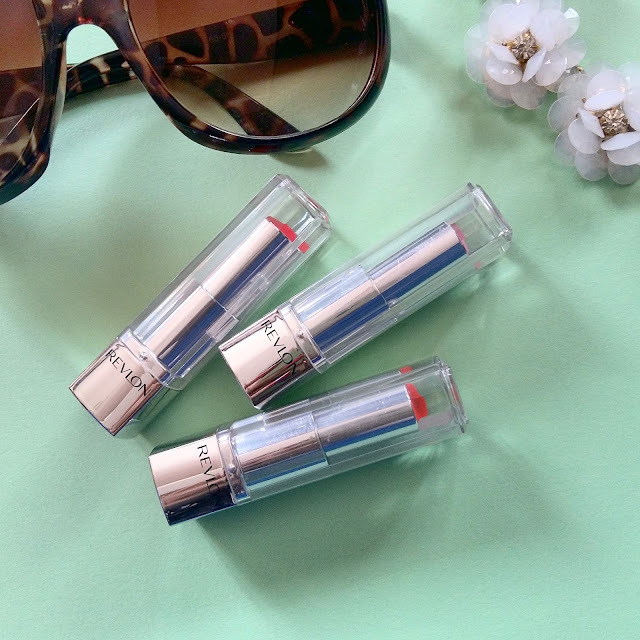 This lipsticks contain tiny shimmer particles. They are hardly visible and just add sheen to lipsticks. 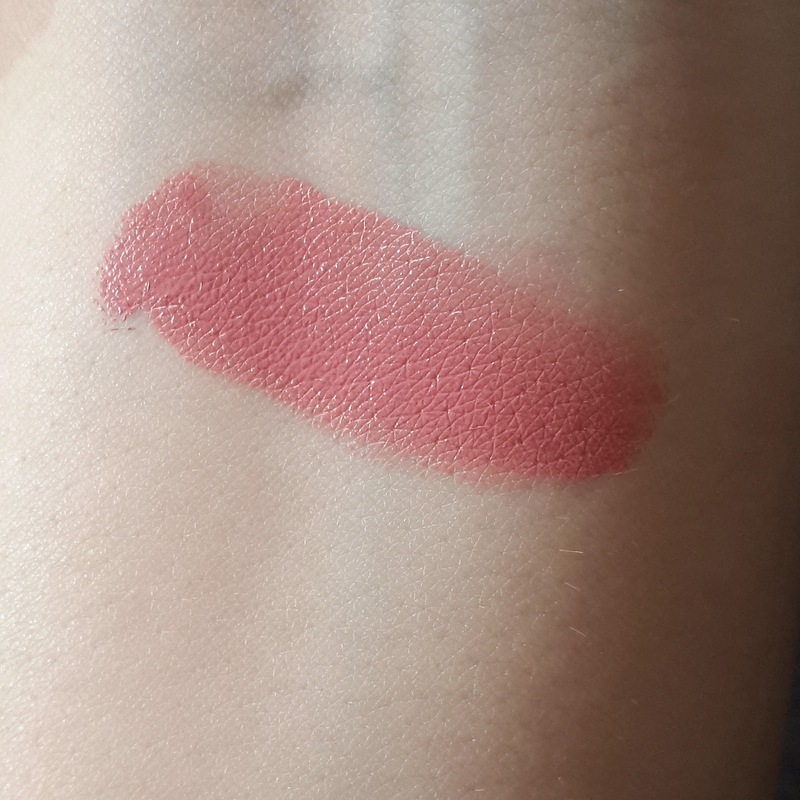 The texture of this lipstick is creamy soft almost like lip butter. Few shades doesn’t contain shimmer. 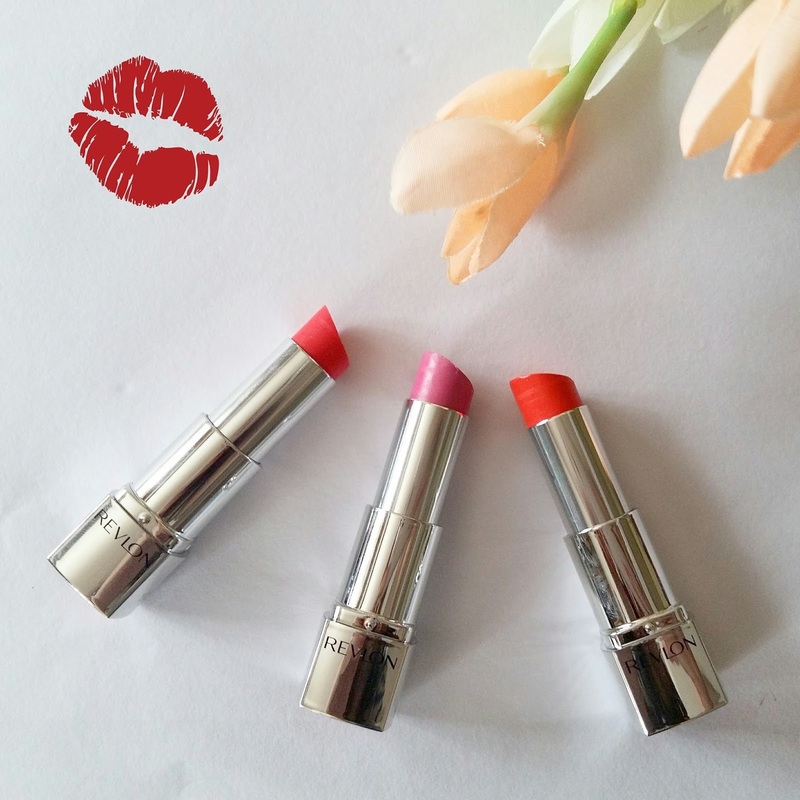 This lipsticks contain sweet fragrance which is not annoying. Doesn’t accentuate lines. You can get opacity in just one swipe. The shades are simply aaammazingg.. loved it. 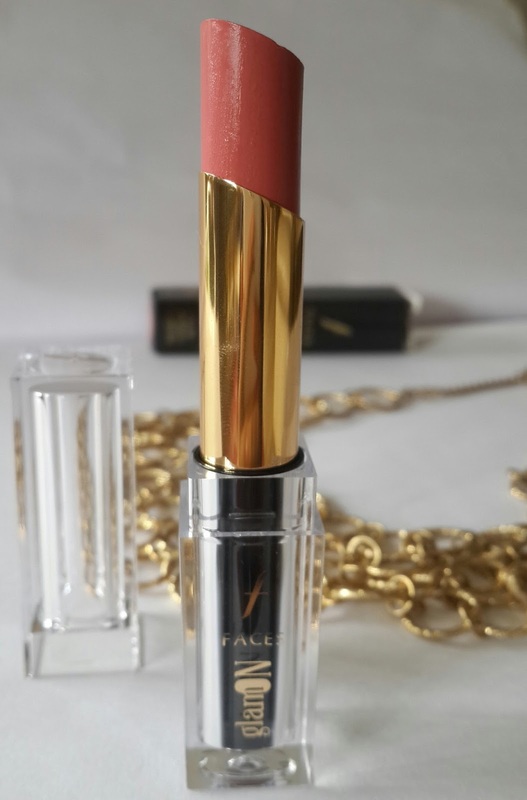 This lipsticks fade away leaving light stain they stay on for 3-4 hrs without meals. They are transferrable but does no bleed or smudge although I observed after few hrs it can bleed from the corners of the lips. HD Sweet Pea is a beautiful PINK shade having some lilac tones its more of a cool tone shade . 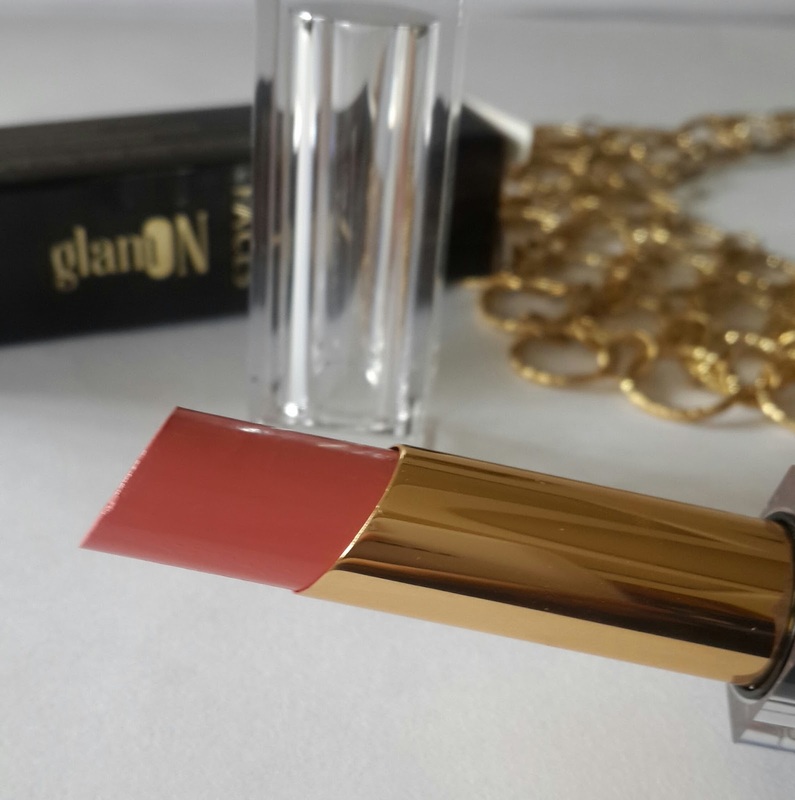 If you want something different this is a lovely shade to have in your vanity. HD Hydrangea is a bright beautiful classy red color. Its a perfect summer red having warm tones. Must have shade. HD Geranium is a bright orange shade. If you love warm orangish shades this one could be your choice of color. 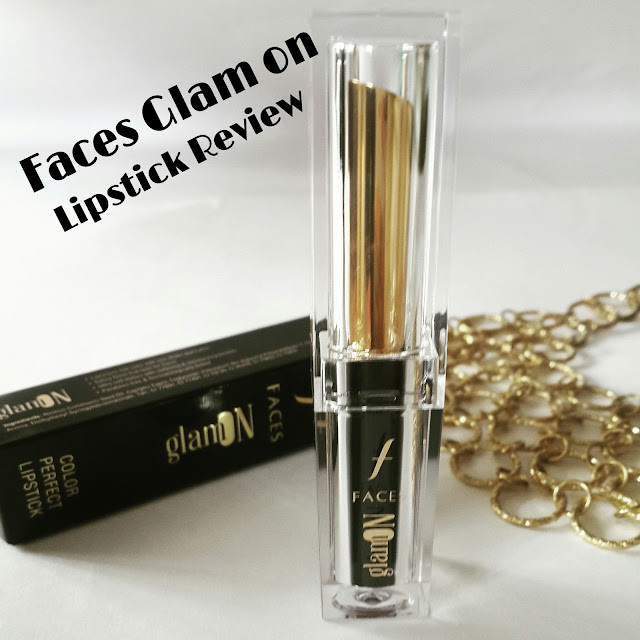 Overall I loved the formula of this lipsticks surely loving this gel technology. 15 vivid shades available to choose from. 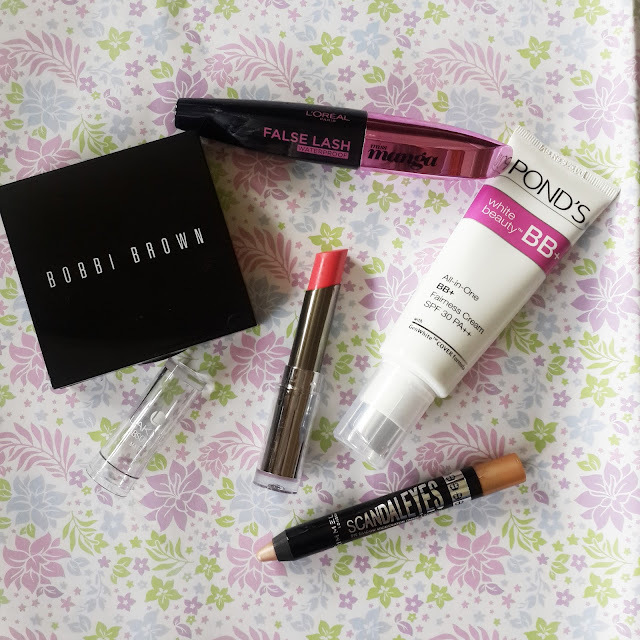 Price is bit on higher side but thats ok i am happy with this lipsticks. Surely looking forward to buy some more colors. Gals they have also launched naked foundation and compact have any one of you tried out please let me know in comments below do I need to buy them? Get revolutionary, high definition color with Revlon Ultra HD Lipstick. This wax-free gel technology delivers instant true color clarity without the heavy feel. HAVE YOU TRIED REVLON ULTRA HD LIPSTICK WHICH IS YOUR FAVOURITE SHADE? I just got Ponds white beauty BB+ cream and was so excited to try a look with it. Monsoon season is going on and I hate applying foundations it can become quite cakey. I have a combination skin and it gets bad during monsoon. 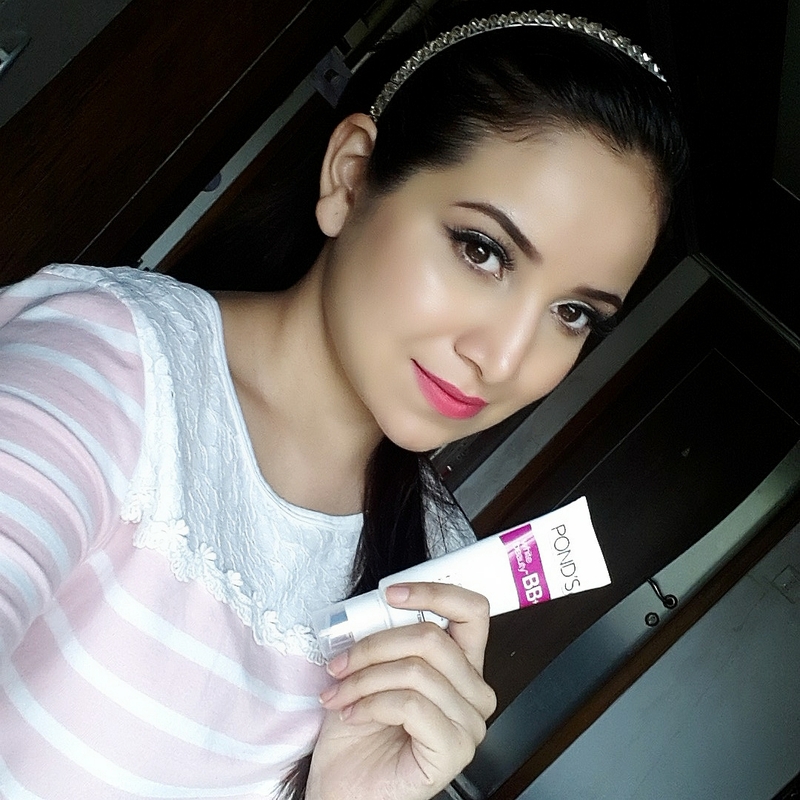 I wanted bb cream for my everyday use and i heard so many good reviews about ponds bb cream finally got my hands on it. Ponds bb cream is for dry to combination skin. If you have oily skin this can make your skin look more oiler after few hrs. It doesn’t give matte effect so if you looking for matte effect this one is not for you. It gives instant glowy face and you don’t need any foundation or concealer. This helps to cover the spots making it less visible it also helps for lightening skin tone. Its light to medium coverage cream does not cover dark circles completely. But if you need more coverage I prefer too apply some matte compact. There is only one shade available which will go on fair to medium skin having yellow undertone. As its yellow tone cream it doesn't match completely to my skin. Texture is very light, smooth almost feels like mousse. It blends into skin evenly without giving any white cast. Staying power with powder is for 3-4 hrs. After that it starts melting around nose, chin giving patchy look. It claims as non oily non clogging formula but somewhere i feel the cream is thick and it can give oily look after 1-2 hrs. For this look I have not applied any base just took a pump of BB cream apply it in dots with finger all over face and blended into skin using fingers. It instantly makes your skin flawless it completely gets blend without giving any patchy look if you have oily skin you can use some loose powder so it doesn’t get into creases and lines. It also has SPF 30PA++ so this will help you protect your skin from sun rays. I really didn’t felt the need of concealer so I have skipped that step and for eyes I have just blend Rimmel scandal eyes on to the lids in Beige color. I applied that on my waterline too for giving a fresh open eye look. 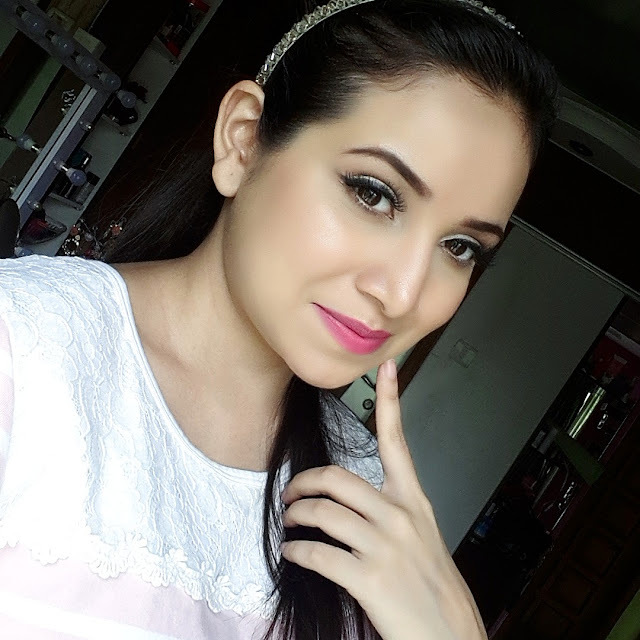 I haven’t used any liner or kajal as during monsoon it can smudge. I used matte black eyeshade and created winged liner with Morphe liner brush. During monsoon humidity is maximum and less is more during this season. 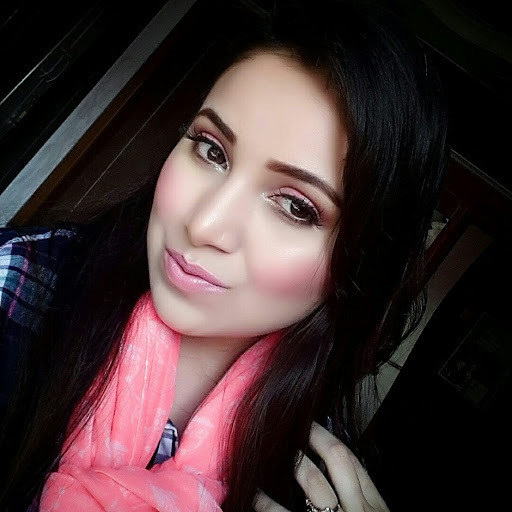 So I went on with Bobbi Brown Shimmer Brick on my cheeks I avoid contouring and heavy blushes especially creamy during rains as creamy it can make you look patchy after some time. 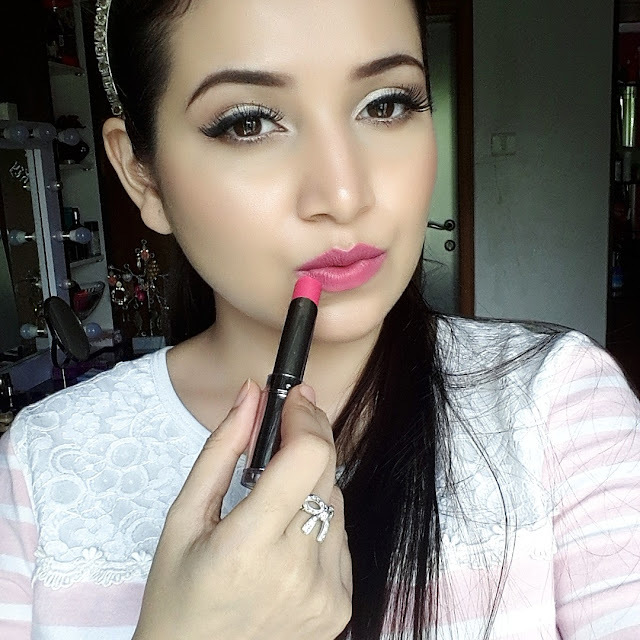 I went with generous coats of L'OREAL Miss Manga Voluminous Mascara which is waterproof and helps me give a open eye look. I used on lower and upper lashes. Make sure your mascara is waterproof you don’t want to end up looking mess. I really love using mascara during monsoon. 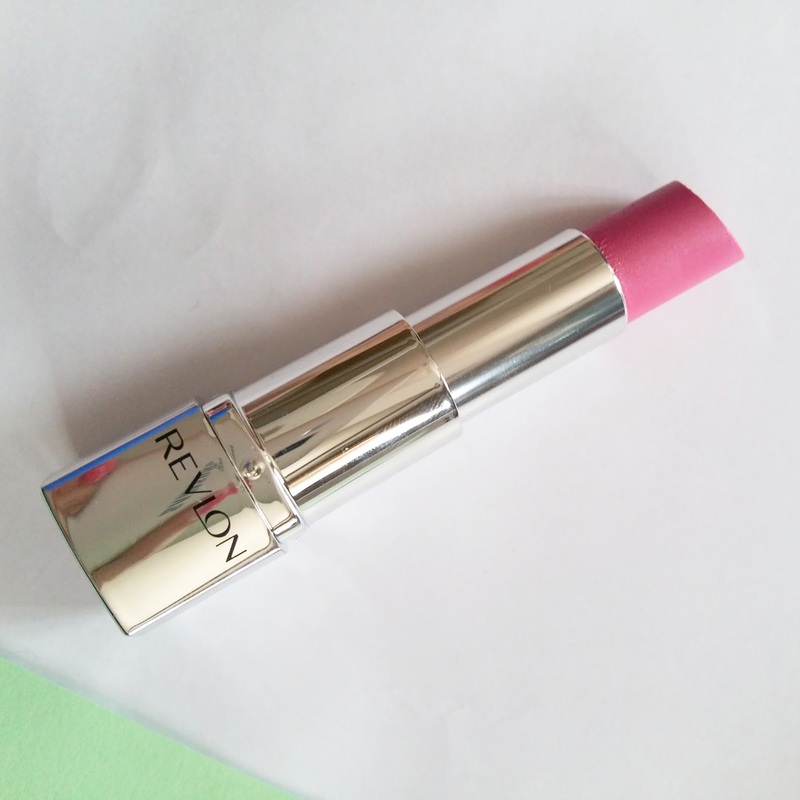 For lipstick I prefer soft matte during monsoons. They are easy to carry and goes with every look. 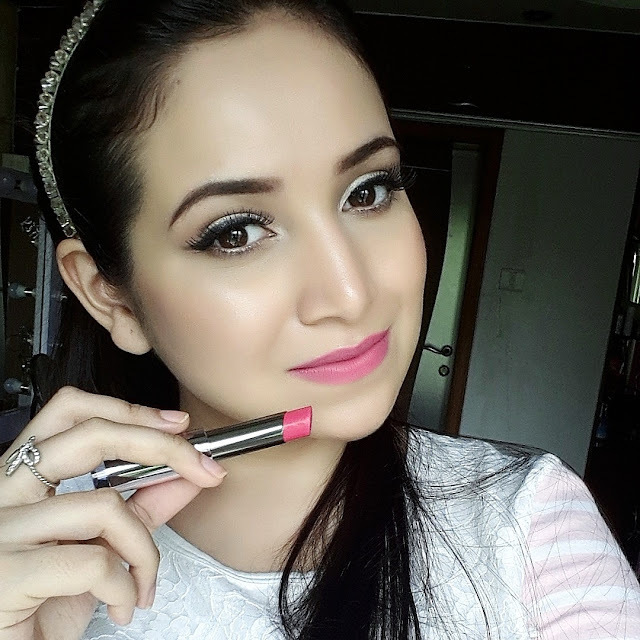 I used Lakme absolute sculpt Matte lipstick in Pink caress which is beautiful matte pink color perfect for this season. This look can also be carried by college going girls and even as sunday brunch look. Have you tried Ponds BB+ cream which one is your favourite BB CREAM?